Google’s Chrome OS is making some big waves now, the Chromebook, a notebook built specifically for Chrome OS will be out June 15th priced around $349 to $499 depending on features and brand. Samsung and Acer are the first manufactures to create a netbook designed for Google’s new internet operating system. This is a major deviation from the way traditional operating systems work. Windows, OS X and even Linux all have many built-in programs and start-up processes that hog the hardware and take resources from the single program most people are turning on the computer to use, the web browser. Google created Chrome OS to make the operating system the web browser, they believe there is no need for all these add-ons and extras that people no longer use. In many aspects they are right, most of the time, the problem is most people are not completely comfortable using the internet to store their personal files. I for one am not and like to keep all my files encrypted on my local computer as well as a local backup. 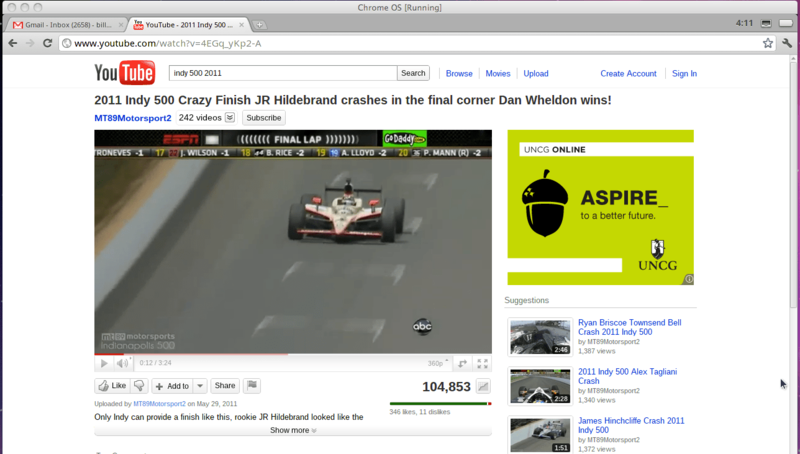 I don’t think Chrome is able to tackle Window or OS X but it could be a strong contender against tablets. The new Chromebooks are lightning fast, the hardware and operating system boot to a login window in 8 seconds total, that is a very impressive time and compared to a tablet I think these two could go head to head. I for one an intrigued and looking forward to getting a chance to play with an actual Chromebook, but until that time someone named Hexxeh has opened that door for everyone. Hexxeh has created a build of Chrome OS called Flow that is a VMware, Virtual Box or USB image installable on any computer. Although not guaranteed to work with any hardware, since there is very limited support for drivers, this is a great way to test Chrome OS before we can get our hands on a Chromebook in mid June. Below I have instructions on how to get a Virtual Box image of Hexxeh Chrome working. 2. Once you have the image extract it to a directory you would like to store it, I would suggest somewhere in My Documents. 3. 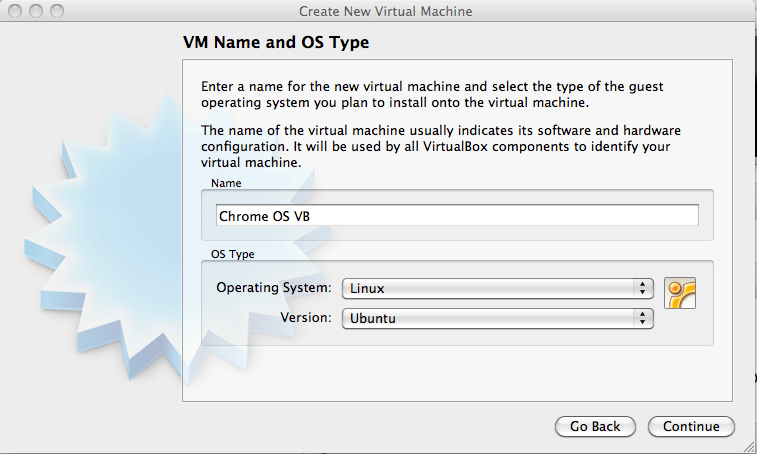 Now open up Virtual Box and create a new machine. You can name it whatever you like just make sure to select the operating system as Linux and the OS is Ubuntu. 4. 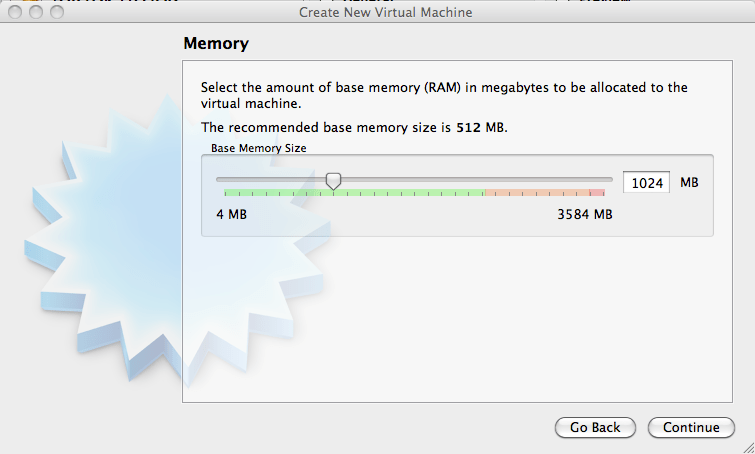 On the next step select the amount of memory for the machine, I would recommend using at least 1024 MB. 5. Finally this is the tricky part, you will now be asked for the image you downloaded from Hexxeh’s site, find where you stored it and select it. 6. Just finish up the rest of the screens and start the machine, when it first boots up it will ask you to login with your google credentials which would be any gmail account you have. For more advanced google chrome activity you can try bringing up the CLI, to do that use this combination of keys to bring it up. ALT + CNTL + T, give it a few seconds and you should see a black CLI. 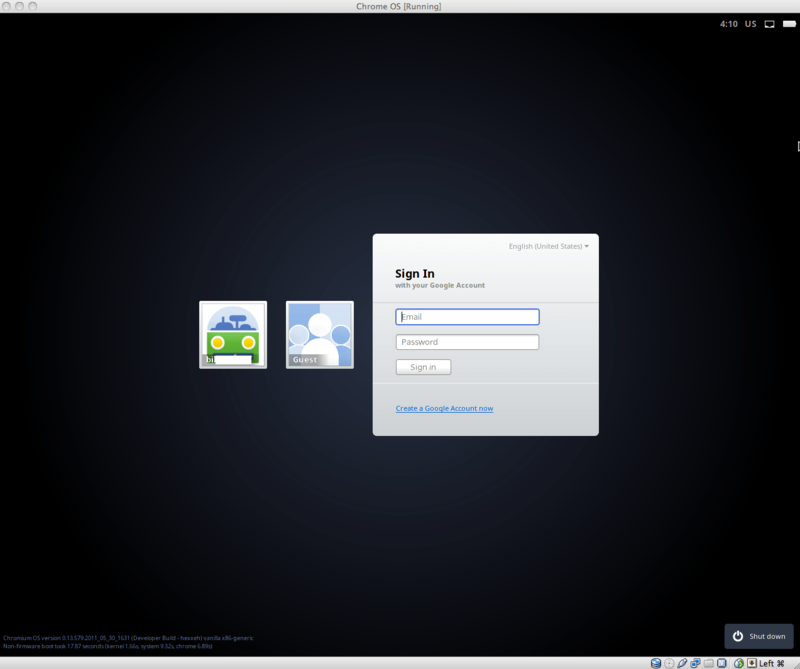 If you want to get to get to the linux CLI use the shell command, then if you want to use sudo the password is facepunch. If you need more information on this I will have a couple more posts in the future about the Chrome OS backend since it is linux. I am currently working on a guide for how to use Chrome OS Flow since it does have a lot of hidden features. 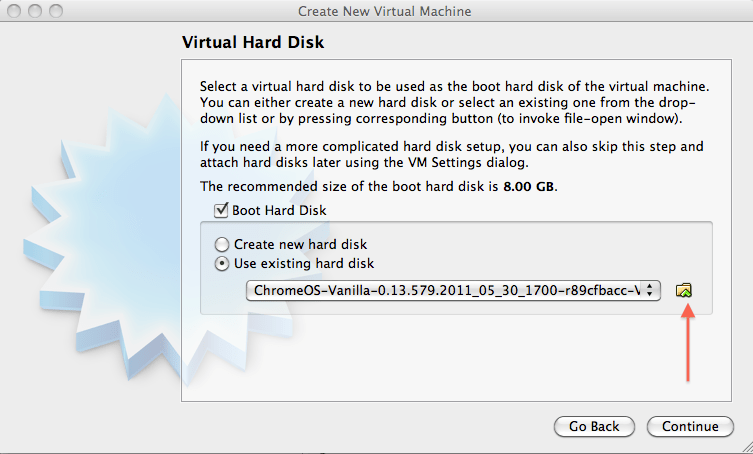 Please look for a post in the near future on how to use Chrome OS.